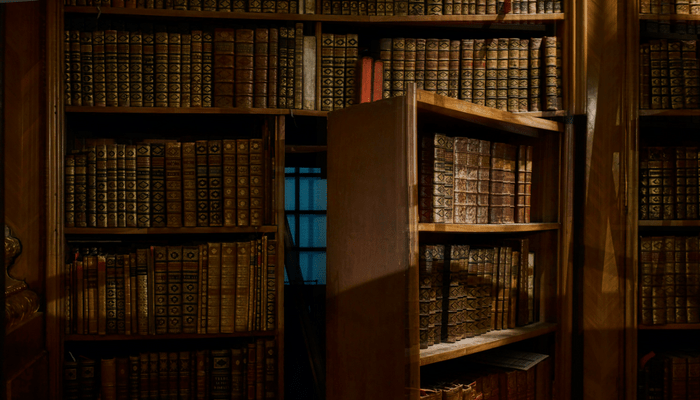 Almost every industry has its share of insider secrets. Often, this information is common knowledge to those in-the-know, but virtually unheard of by outsiders. Business-class internet service providers (ISPs) are no exception to rarely-shared insider knowledge. Chances are, you’ve noticed there’s a lot of options for “business-class” internet service which range from fiber to DSL. Shoppers have to compare enterprise-class service to “small business” packages. Regardless of how connectivity service is marketed and sold, not all solutions are created equal. Armed with 23 years of experience in the telecommunications and business-class internet fields, we’re about to share a wealth of insider information. Read on for 5 insider insights that can make you a more informed business-class internet shopper and customer. Residential service, for home users, families, and consumers. Business-class internet service: While this service is higher-quality than residential internet, it’s often a “best effort” service that offers customers bandwidth “up to” the amount they signed up for. If connectivity issues arise, your provider may guarantee repair within 1-2 business days. Enterprise-class internet service: The most reliable and highest-quality option, offering guaranteed bandwidth and same-day repair response. There’s not a lot of standardization among providers. Some vendors may offer “small business” packages that are very similar to residential offerings. In other cases, ISPs may sell “enterprise-class internet” that isn’t backed by a bandwidth or reliability guarantee. If you need the peace-of-mind and speed associated with enterprise solutions, be sure to ask potential vendors about repair response times, bandwidth guarantees, and other quality measures they take to protect their commercial customers. Some ISPs don’t own their data network. That’s right; some companies positioned as an internet provider don’t actually own, operate, or maintain an internet solution. In these cases, they’re usually a third-party who resells another company’s internet service. Resellers add a surcharge, which means their customers are paying more than they need to. These ISPs also can’t directly protect their customer’s experience. If you experience technical issues, they may act as an intermediary between you and the actual provider, sometimes resulting in delays and miscommunications. Business communications providers who own and operate their own fiber network, in general, are a smarter way to go to guarantee quality, fast troubleshooting, and value for your money. There’s no such thing as an official definition of “business-class internet service.” The FCC doesn’t regulate the types of service that can be marketed and sold as business-grade solutions. As a result, one ISP’s “business-class” offering can be dramatically different than another’s. Even among providers with direct access to a network, quality varies significantly. As mentioned earlier, some ISPs don’t guarantee the speed or bandwidth advertised, since the fine print in your contract dictates that your service will be “up to” what was marketed. Customer service availability--is it 24/7/365 live, local support? There are a lot of ways that you DON’T want to save money on your business-class internet service. You don’t want to sign on with a vendor whose actual bandwidth is much lower than advertised. You don’t want to purchase from an ISP who cuts costs by outsourcing their customer service or offering very limited support hours. Bundling, on the other hand, is a smart way to cut costs. Enterprise-class internet service providers who offer fiber-optic connectivity and IP phone service can save you money, while offering better quality and simpler troubleshooting. If you find a provider with a full range of business communications tools, you may also reap some rewards by bundling your new internet solution with other services beyond business phone service such as Unified Communications as a Service (UCaaS), data center and cloud. If you thought the range of business-class internet service options available to you was overwhelming, these insider secrets may have made it worse. Regardless of what most ISP’s would ever admit, there is more variation in “business-class” and “enterprise-class” fiber and DSL internet solutions than many IT pros ever thought possible. With knowledge of the right questions to ask and the types of providers who may not deliver the quality you need, it’s possible to narrow down your options to the right providers who offer serious value to their business-class data customers. 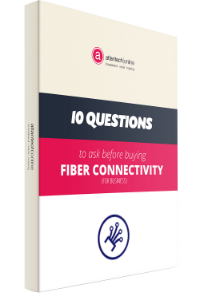 For more on-the-ground knowledge of how to find the best-quality internet at the lowest price, check out the free eBook: 10 Questions to Ask Before You Buy Fiber for Your Business.